The Outer Worlds was only officially unveiled by Obsidian two months ago at The Game Awards 2018. However, it has already become one of the most anticipated games due in 2019; it ranked second both in our staff and community polls, after Sekiro: Shadows Die Twice and Metro Exodus, respectively. That’s easily explained by the presence of Leonard Boyarsky and Tim-Cain as co-directors on The Outer Worlds. They’ve worked together on roleplaying staples such as Fallout, Arcanum: Of Steamworks and Magick Obscura, and Vampire: The Masquerade – Bloodlines. However, the dynamic duo tried to address the enormous hype in a video interview published by Game Informer. They want to make sure fans manage expectations. Leonard Boyarsky: I hope people aren’t overhyping it. That was the great thing about Fallout and Arcanum, we had zero expectations. They didn’t know who we were, they didn’t know it was being made. I’m very confident that people who like our kind of games and are interested in that style of games will enjoy it. My concern with some of the hype is that nothing we could make, even if we had a hundred million dollars, would live up to what people are imagining. You can never compete with the people’s imagination because that’s unlimited. Tim Cain: People are watching the trailer and drawing conclusions, they think it’s more of an open sandbox, like ‘we’re going to be able to go anywhere on any of the planets’. No. Of course, there are all kinds of speculation on how long it’s going to be and people are speculating, like, hundreds of hours of gameplay. No. Leonard Boyarsky: The beginning area, we’ve had people play through it in forty-five minutes to an hour while others take three to four hours. It’s probably roughly comparable to a KOTOR 2 in size, maybe a little bit smaller than that. Tim Cain: We do think because it’s so replayable people will play it multiple times. They’re going to want to see how other things they didn’t choose would have worked out. Leonard Boyarsky: We’ve decided to put our effort for The Outer Worlds into the reactivity and replayability, because of our size and budget, those necessitate a smaller, more tightly controlled game than like a giant sandbox open world where you can run everywhere and do everything. It’s important for me that people understand what the game is and what it’s supposed to be and decide whether they want to play it based on that. 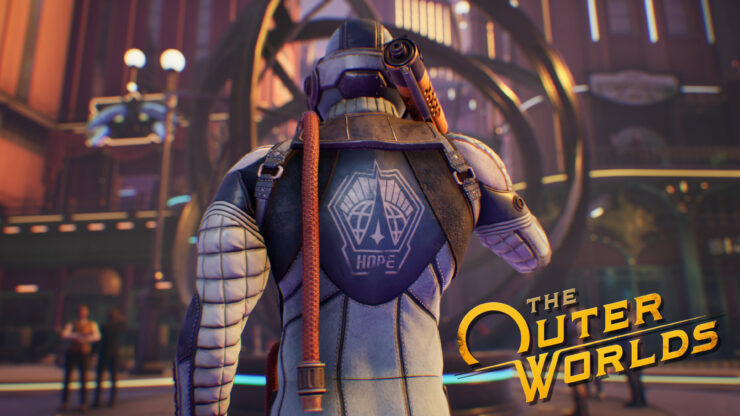 The Outer Worlds is set to launch later this year for PC, PlayStation 4 and Xbox One.